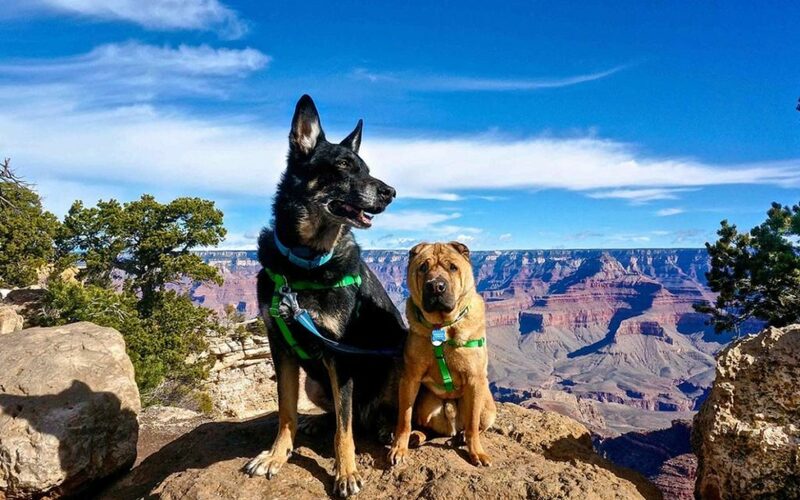 Pet animal friendly travel destinations: There is so much of natural beauty in the world and most of us have never seen even a fraction of it. There are always a million excuses to put off a life-altering trip like money, work, kids, and timings. If you love traveling and you just can’t bear to leave the dog at home, you would have probably experienced how frustrating it is to book a getaway for you and your pet. There are many questions that arise like can my dog stay in this hotel? Or visit the local coffee shop and sit with me while I eat at a restaurant? Is there anywhere that allows dogs to run and play off the leash? Snoqualmie Mountain Pass in Washington is known to have the best scenic attractions with the two-acre park, gift shop, observation deck, the Sailesh lodge, and the famous 270-foot waterfall. The path will weave you into the forest along the river. All sort of winter fun is available in this snowy wonderland. There is four dog-friendly hiking trail in Snoqualmie Pass WA. The best part of a waterfall is the worse weather, better the view, as rain and snow create a much stronger louder and awe-inspiring waterfall. One can hear the thunderous roar of the waterfall. This is the best place to travel with your pup making this a great place to visit all year round. It is one of the most popular tourist venues in southwest Florida. There are many dog-friendly hotels, parks, beaches, restaurants and stores. There are events for dogs throughout the year. Nestled in the Adirondacks, is a Canine camp. It’s like summer camp for you and your dog. They have a swimming pool, a bar for happy hours and a dog-friendly section dining room .During the day they have 5-7 activities for you and your dog to enjoy. You’ll be pleased to hear that the residents of San Diego are barking mad about dogs. There’s other tasty California cuisine for you as well as homemade dog biscuits for canines. There’s also the dog-friendly terrace at the Pier Cafe on West Harbours Drive. Have a run at Nate’s Point off-leash Dog Park at Balboa Park. Pets are most definitely invited in Charming Bar Harbour. Order yourself something delicious and then check out the special doggie menu for your furball at Stew Man’s Lobster pound. Margaret Todd Windjammer Cruises accept dogs on board, so you can sail around Frenchman Bay without leaving your favorite companion at the rental. Your first stop should be Huntington Dog Beach; it is a stretch of true doggy heaven. The place is kept very clean by the dog owners and the dogs are under control, so it’s a pleasant place to visit. There are also a dog who loves to Surf. After all the excitement of the dog beach you can take your pet for a Spa at Sea cliff village. This scenic port city is a dog friendly place. The Java Dog Coffee House serves great coffee, dog treats, and welcome dogs inside and out. You can enjoy your southern dishes along with your furry friend on the deck at George restaurant. There is also two acres galloping room at the off-leash Wilmington Dog Park within Empire Park, complete with fencing and separate areas for pups large and small. Who loves the beach more than a dog? Bringing your dog to a warm beach is an activity. You’ll both appreciate. St. Petersburg is close to the Dog Beach and Paw Playground at Fort De Soto state park. This beautiful beach is a great place for dogs to run and play in the surf, all off leash of course. Floridian are said to be lover of dogs. There are lot of dog-friendly accommodation, restaurants and public parks in St. Petersburg. You and your pooch will both love the opportunity to play in the waves and recharge in the sun. Life is too short to miss out on the good stuff and even shorter for our canine companions. Put all the adult baggage aside for a while and take up your best friend on an adventure of a lifetime. You won’t regret it and your dog will never forget it.